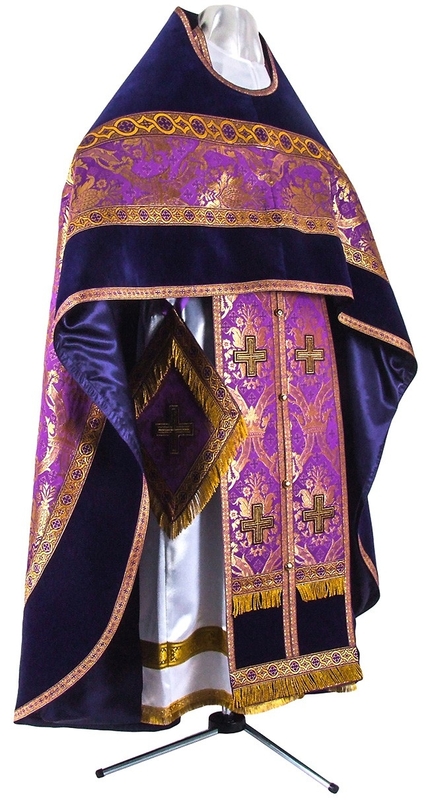 Orthodox Church liturgical Russian Priest clergy vestments (violet-gold) by Istok Church Supplies Corp.
Istok Church Supplies carries an eclectic collection of Russian Priest vestments violet-gold. 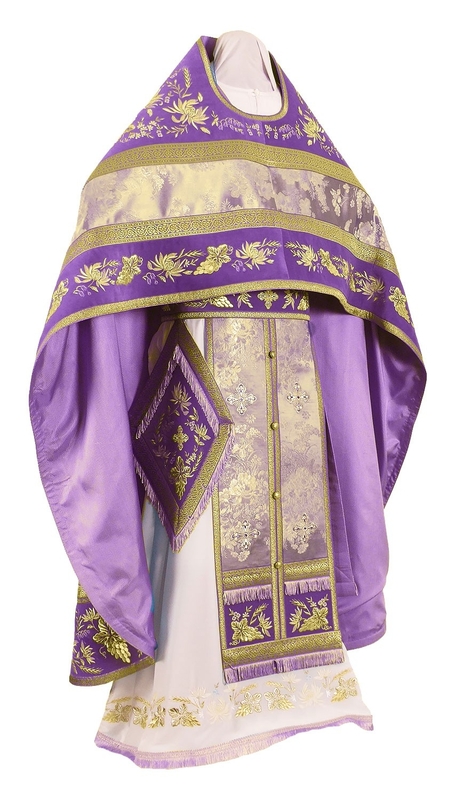 These vestments are designed to awaken a sense of sacred time and highlight particular Mysteries of the Orthodox Christian faith, especially during Lent weekends. 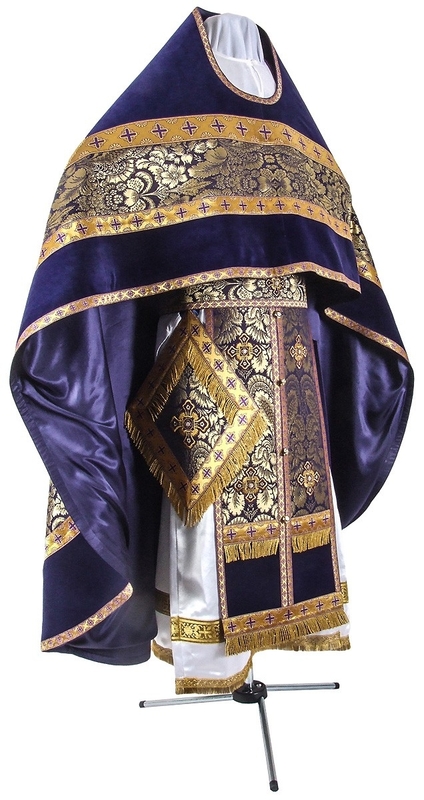 We take care to ensure high quality workmanship and meticulous attention to detail while executing custom orders for each of these vestments. 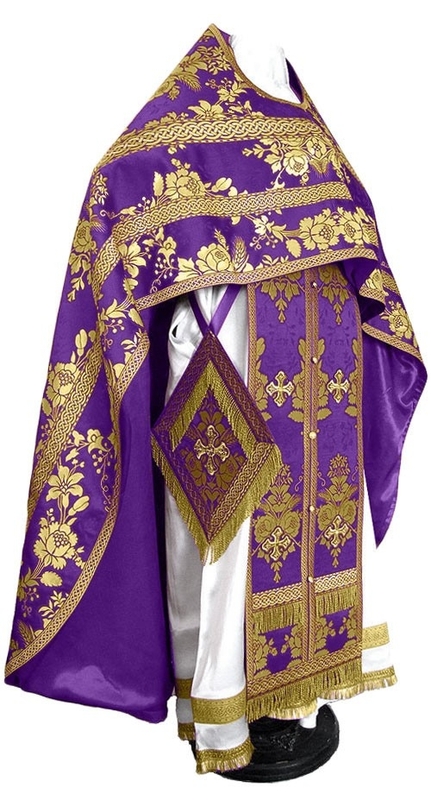 The color violet is associated with penance, sacrifice and preparation and is hence an appropriate choice for vestments to be worn during Lenten period and Dormition fast. 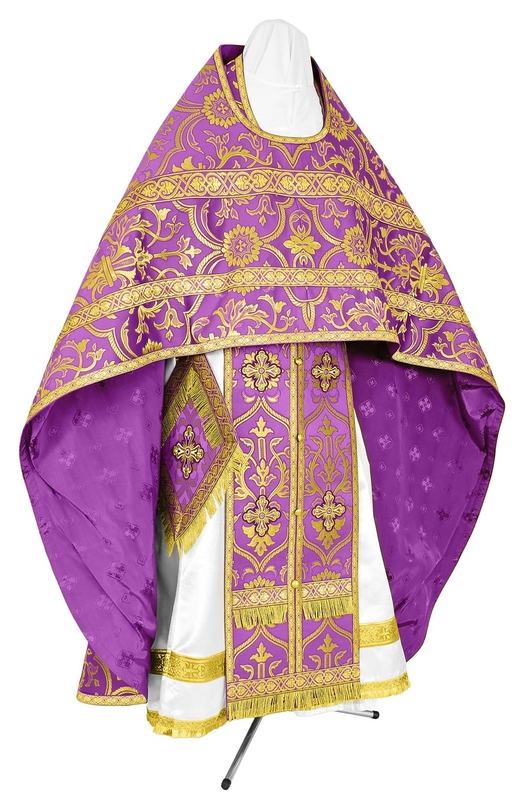 Our Russian Priest vestments violet-gold are available as complete sets containing all outerwear items prescribed for Russian Orthodox Christian Priests – epigonation, phelonion, nabedrennik, zone, epimanika and epitralhilion. 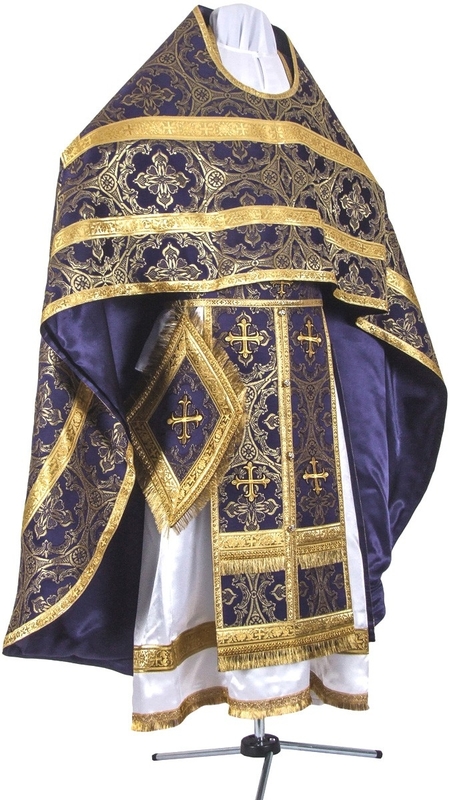 Customers can add natural velvet inserts, matching chalice covers along with a beautifully embroidered icon that goes on the back to their orders. 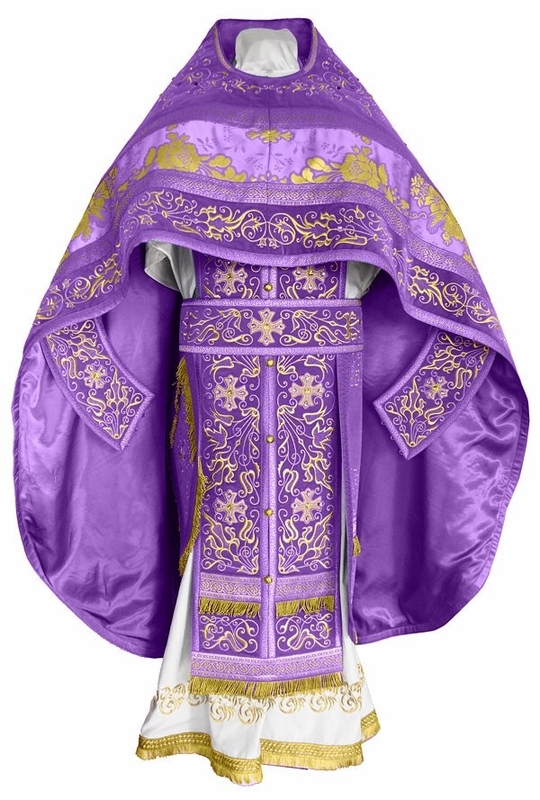 Our Russian Priest vestments violet-gold are available in four types of luxurious fabrics – metallic brocade, rayon brocade, natural German velvet and embroidered fabrics. Patterns and motifs vary for each article listed and customers can choose according to their requirements and budgets. 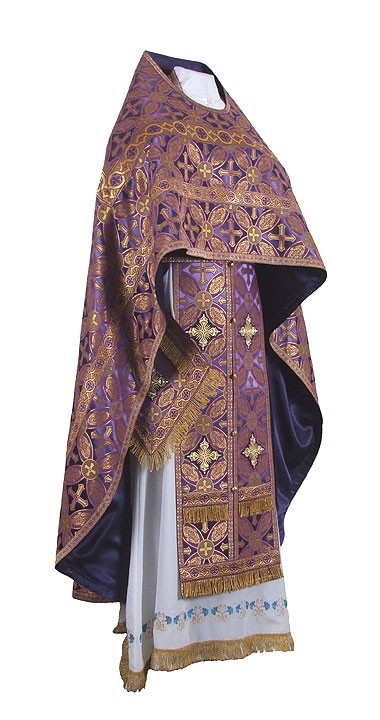 To further customize their order, customers can select from three decoration types – standard, premier and luxury. 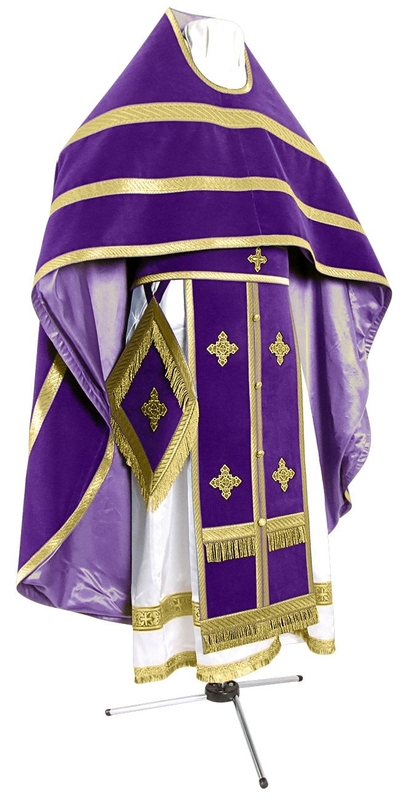 While standard type is the simplest and most economic, premier is mid-range and luxurious is high end and comes with highest quality crosses and galloons. 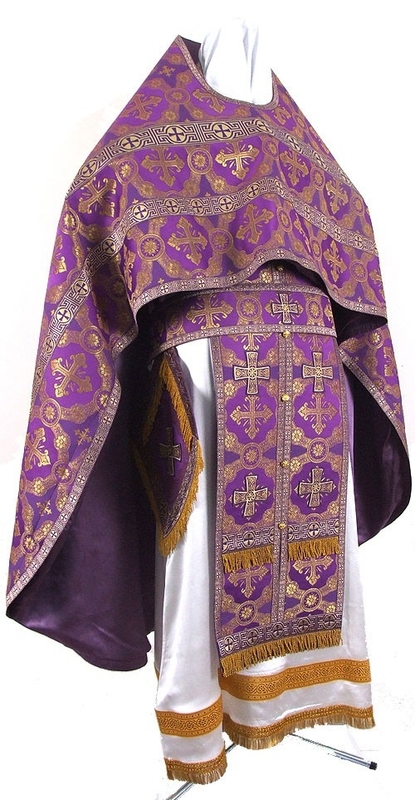 We provide natural rayon lining for all our Russian Priest vestments to increase wearer comfort. 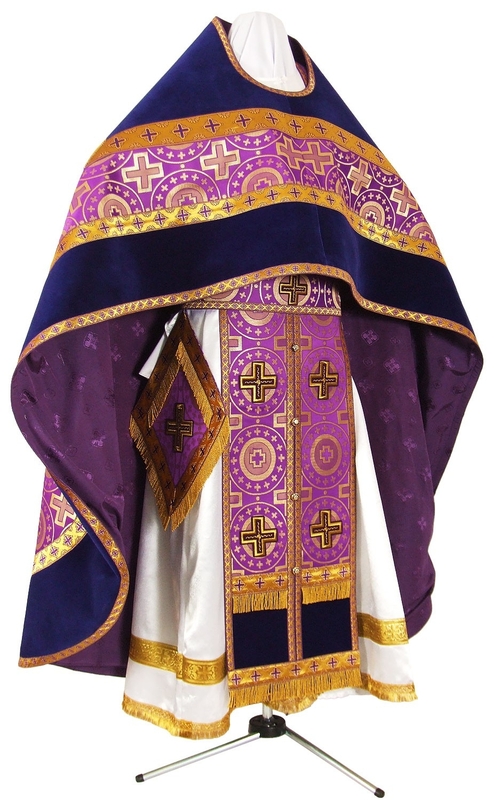 To help Russian Priest wear distinct and distinguished official vestments that fit perfectly, we provide bespoke tailoring services. Once customers provide their exact individual measurements and place their orders online, our exceptionally talented tailors in Europe will fashion each garment by hand to ensure highest attention to detail and solid workmanship. 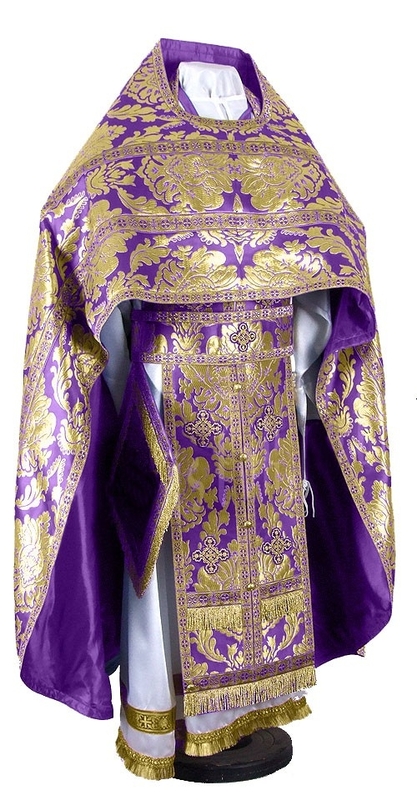 Customers who require Russian Priest vestments to be delivered by a specified date are requested to place their orders well in advance or opt for express delivery services.